My previous post on sourcing free online information omitted the in house information of major public organisations. 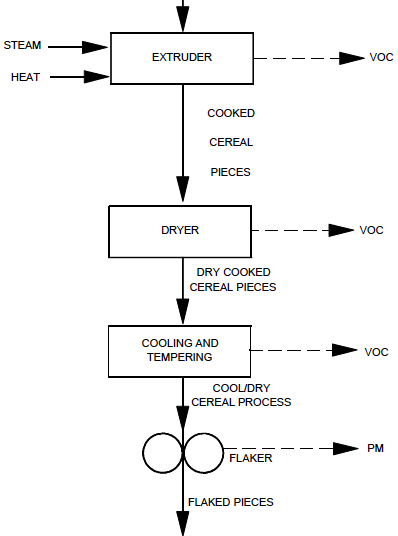 The flowsheet is an extract from a document by the Environment Protection Agency on Breakfast Cereal Processing. The 11 page document describes raw materials, products and 6 processes in detail. It has a short section on what emission controls are required. The information is prepared as background for it field officers and is downloadable from their website. I have seen similar information on useful food processing information from organisations such as USDA, US FDA, Shipping Associations, Firefighters and Equipment Suppliers. Its well worthwhile identifying these sources. This entry was posted in ..Agribusiness/tech, Food Processing, Information and tagged Food Processing, information on September 22, 2013 by admin. The tone maybe shows that they are very much the voice of science and not much interested in what people experience and anything alternative. This doesn’t suit me very well as I am able to detect MSG in food by quite a violent reaction – which their article very much dismisses! But still there is good information in the articles they have written and posted as well as in their list of links. So I recommend them! 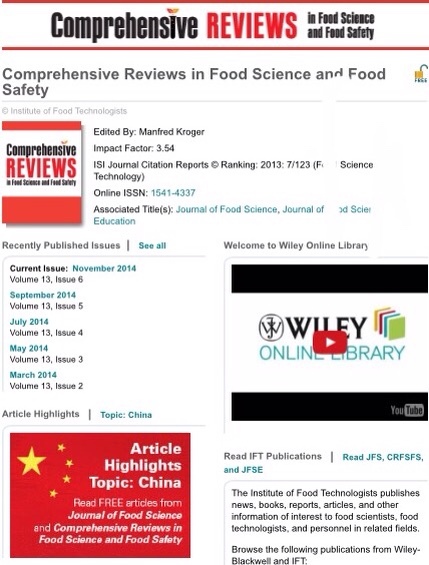 This entry was posted in .Consumerism, Food Processing and tagged FACS, Food Science Food Safety, information, Nutrition, SAAFoST on July 21, 2009 by admin. 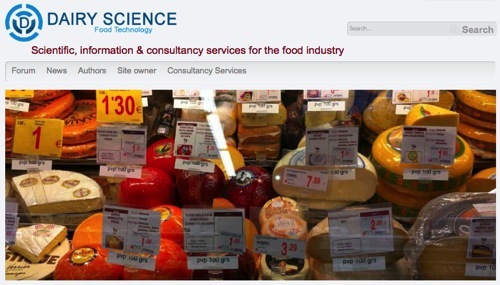 HYFOMA (European Network for the Manufacture of Hygenic Food) maintains a site which aims to centralise and coordinate literature from food equipment manufacturers. The website is funded by food equipment manufactures and states that it intends to capture all available information but seems to be still in the process. Articles range from full reviews eg Ohmic & Induction Heating for Microbial Inactivation to pretty simple outlines. Articles are basically focussed on products or technologies. 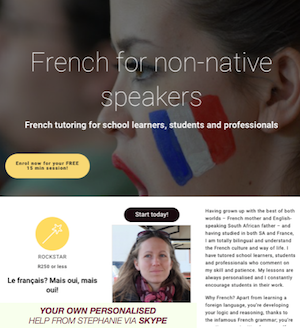 Although this site is still building and you may find articles that are notyet available or only in a foreign language, its still worth a look as its such a large source of free information. This entry was posted in Food Processing, Technology and tagged information, process, products on July 10, 2009 by admin. 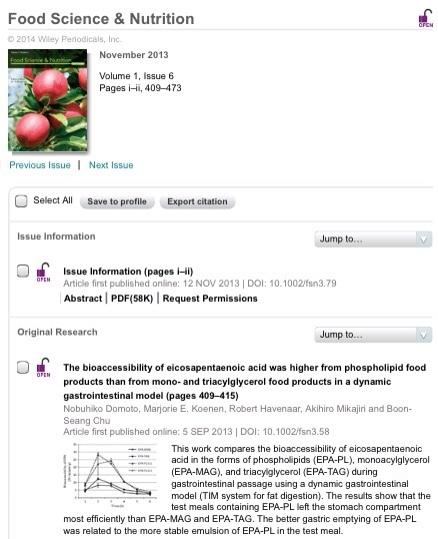 I, as a chemical engineer, am really excited to find a book like this on line and easily usable. The book is on SCRIBD which has been called the youtube of documents. Although posters on SCRIBD can make their posts downloadable this one does not, so you can only stream it. The clip below tries, but fails, to show the blend between quantitativeness and practicality. Rather, if you are interested in Food Processing and brining comprehensive calculation into it go and see the book. I am not sure how this book is able to appear online, but since its there why not have a look! Either click the clip above to open in your browser or click below to stream here. 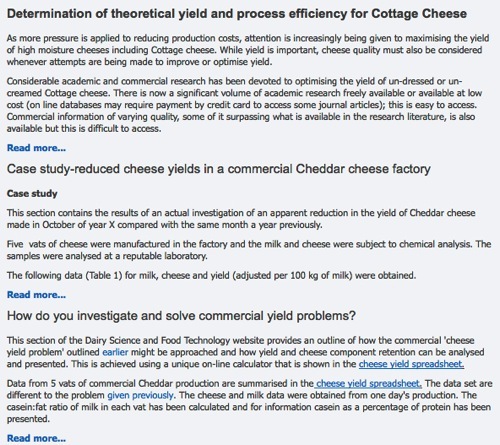 This entry was posted in Food Processing Information and tagged food engineering, information, process engineering on April 22, 2009 by admin. I always feel good when I see what looks like real useful information that is available to African entrepreneurs for free! The West Africa Trade Hub is funded through and managed by the USAID Regional Mission for West Africa. This is packed with useful information from trade directories to export and business guides, country and sector analyses to product reports and transport analyses to conferences and workshops. There are two other hubs for East and Southern Africa, but these do not yet have the breadth of information presented by the West African Hub. 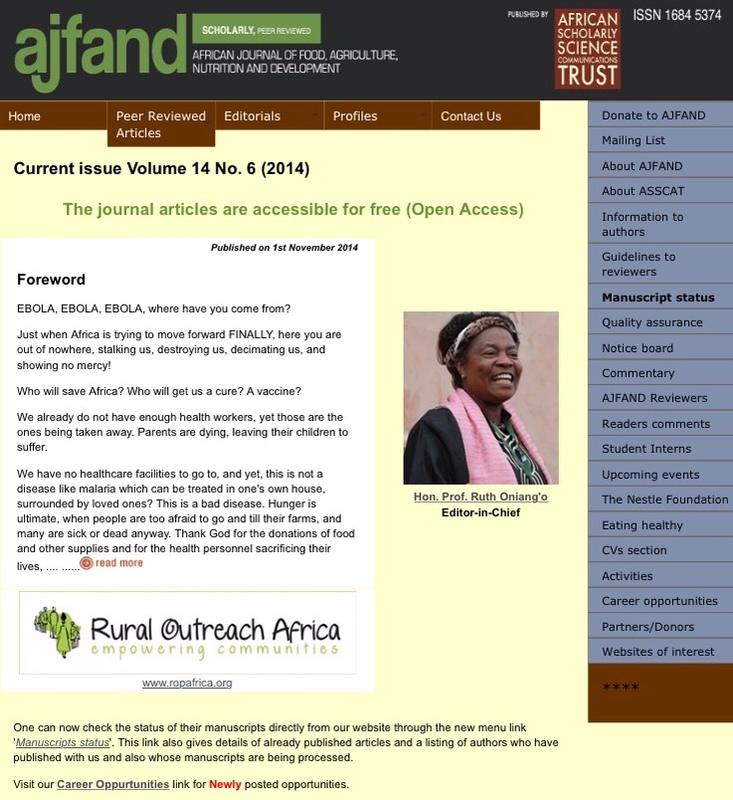 What I would like would be to hear from people who have used the West Africa Hub – is it as good as it seems? Leave a comment or email me here. If so I think we could start to support and encourage USAID, the main funder of the hubs, to speed up the development of the other hubs. This entry was posted in .Agribusiness, Africa Good, Food Processing, Market /Business and tagged analyses, directories, information, reports, trade, West Africa on December 8, 2008 by admin. I am aware that many of the people who could benefit from the information I am publishing have difficulty in downloading files from the INTERNET due to the cost of being online. I in fact mentioned this in a recent blog which was based on a very practical drying manual which can be downloaded. While GOOGLE says they, with HSBC, are going to bring cheap satellite based INTERNET connectivity to Africa, this will take time and we still need to see what options exists at present. One solution is offered by Web2Mail.com. The service allows you to receive any webpage as an attachment to an email. So long as you have a pop mail account getting the information into your computer will be much quicker than going online to download the information. This will be particularly useful where you want to download an online document. There used to be many of these kind of services but they have mainly closed down claiming that they were not being used effectively. We are investigating the possibility of the Blog supplying documents featured here by email, on request from users. This, however, requires that we get permission from the owner of the information. Another thought is that seeing that most of what is discussed here essentially has a developmental focus, it should be possible to get assistance is sourcing documents from extension officers and NGOs who have better connectivity. This entry was posted in Development, Links and tagged email, information, web-documents on September 18, 2008 by admin.